This is the second part in extending our previous lead generation discussion Part 1: There are leads and leads. effective lead generation approaches. Has your organization defined what a lead is? Is everyone in the organisation involved in the marketing and sales cycle able to articulate what a MQL is, and what a SQL is? Is there a clear ‘point’ at which marketing hands over leads to sales? Has marketing and sales reached agreement in terms of what a lead is? If you can answer those questions, or at least go some way towards it in in functional maturity, let’s move forward to discussing lead nurturing! 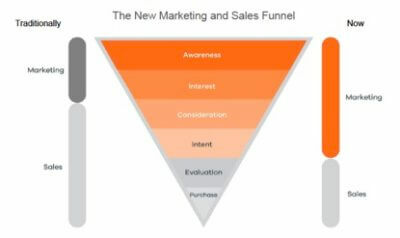 Lead nurture is part of the marketing call process – which can be a lead follow up or a request for more information in call or email format over a period of time – if the prospect isn’t able or willing to commit their interest to set an appointment, we need to lead nurture in order to progress the prospect activity in the new business development process from marketing. 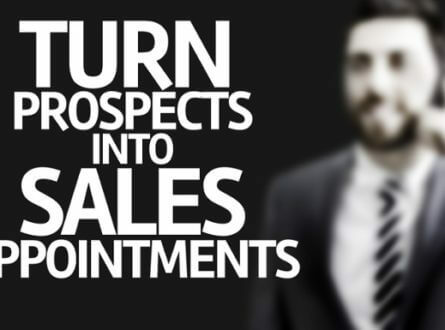 This lead is a warm lead to nurture and follow up on with further contract to progress a marketing lead opportunity or hot lead to provide to the sales team for sales engagement and then sales opportunity qualification (SQL) which is aimed to turn into a real sales opportunity to engage within the sales process to secure the sale within a timeframe. What is our MQL and SQL process? We are able to have an initial discussion to see how if we can assist the prospect with identifying or solving a business challenge or problem first and seeing if there is mutual acknowledgement for a brief follow up call or reason to meet. The prospect did request to have some information sent first before agreement for a follow up or call-back before putting them into lead nurture or another marketing activity such as a subscriber to an event or company’s white paper over a period of time. The lead appointment can either be phone based or face to face to handover to the sales person to further qualify from a sales engagement after the initial marketing lead has been completed. The outcome of the lead appointment cannot guarantee a firm sales opportunity or a sale – this is up to the sales person to progress to determine and doesn’t take into effect any external factors that may impact performance or availability or prospect rescheduling an appointment. From experience, there may be a need to engage multiple interactions (i.e a touch-point, call-back, email follow up) over a period of time (not just first call) with the prospect in order to convert the lead to a qualified appointment otherwise it will be placed to lead nurture status. This eventually leads to a defined sales opportunity that the sales person progresses through to signing an agreement to do business. This applies for us typically within marketing B2B corporate complex solutions or professional services and technology campaigns such as cyber security or cloud application services to engage high level executives who are influencers, recommenders or decision makers. Q1. Do you have any identity management projects with governance and compliance process challenges ongoing or upcoming that will require preventative action? Answer: Yes, they have an ongoing goal to enhance identity/security posture that includes identity management and access control. He declined to disclose their specific project. Q2. Could I ask what challenges you have to provide visibility to business owners or auditors regarding access to corporate data? Answer: They have challenges like, how would they know who accessed the data or if it is not been compromised. He mentioned that they don’t have a control on whoever accessed their data. Q3. How do you perform access reviews, certification process and manage the enforcement of access policies today? Do you use manual Excel spreadsheets or Access databases? Answer: Not Access DB, application revelation database depends on which application they use. It might be on the different flavors of database. Sometimes it’s integrated, sometimes not as claimed. It is important to capture the context and content and work with a marketing agency or lead generation company who understands deeply the subject matter or concepts of the products and services when running a marketing campaign. It’s more effective if they have knowledge of how to attract and speak to the right audience (i.e IT level or C-Level executives) with field sales experience or some awareness. The current competitive and dynamic business environment, combined with a shift in traditional buyer behaviour, demands an understanding and respect of the importance of lead generation and nurture. An overall focus on ROI needs to guide exploration and investment, particularly in this time of shift from traditional marketing methods towards digital marketing automation in a go to market strategy. If you are interested in a progressive or different way to address effective lead generation and lead nurturing campaigns; thinking about how the use of marketing automation tools such as Hubspot will assist to close the gap between sales and marketing and increase ROI for lead generation. If you are open to exploring further specific lead generation strategies, methods and processed from both a sales and marketing perspective, please contact us for a confidential discussion.